Posted on Tuesday, June 13th, 2017. - Filed under 65-Inch. Two choices that you can consider if you are looking for affordable 65-Inch curved Smart 4K UHD TV are Samsung UN65MU7500 and UN65MU6500. They are introduced as part of Samsung’s 2017 standard 4K UHD TV series that positioned below Premium UHD TV series. As two 65-Inch curved standard 4K UHD TVs, Samsung UN65MU7500 and UN65MU6500 are almost identical that might make you confused in choosing. This article will talk about Samsung UN65MU7500 and UN65MU6500 and their comparison to help you choose which of them is the one that you should choose. Samsung UN65MU7500 comes as part of Samsung MU7500. We can find that Samsung MU7500 is the successor of Samsung KU7500 from Samsung’s 2016 TV lineup. It comes with curved panel design that completed with Auto Depth Enhancer that bring greater sense of depth. Samsung UN65MU7500 comes with UHD Dimming that completed with UHD Upscaling to bring accurate details from both original 4K contents or Upscaled HD contents. The color technology of Samsung UN65MU7500 is 4K Color Drive Pro that combined with Essential Black Pro as its black technology. 4K Color Drive Pro is able to deliver rich color details on the TV screen, while Essential Black Pro bring deep blacks for better vibrancy level. We can also find 4K HDR Pro as the HDR technology of Samsung UN65MU7500. With 4K HDR Pro, you can enjoy better details with expanded contrast from your HDR content sources. Samsung UN65MU7500 is installed with Motion Rate 120 as its refresh rate technology. Motion Rate 120 is indeed basic refresh rate for 65-Inch LED screen, but It still can deliver fluid motion images. The Smart TV platform of Samsung UN65MU7500 is Smart Hub. With Smart Hub, you can enjoy your favorite sports, movies, music and TV shows while you can also control the TV and the SmartHub easier with smart remote that completed with voice interaction. Samsung UN65MU6500 is introduced as the new model of Samsung UN65KU6500. It’s the most affordable 65-Inch curved Smart 4K UHD TV from Samsung’s 2017 TV lineup. Samsung UN65MU6500 comes with curved panel screen that completed with auto depth enhancer to deliver greater sense of depth on its curved screen. The dimming technology of Samsung UN65MU6500 is UHD Dimming that combined with UHD Upscaling. UHD Dimming that combined with UHD Upscaling is able to deliver brilliant picture quality from both original 4K content sources or HD contents that upscaled into near 4K picture quality. Samsung UN65MU6500 is completed with 4K Color Drive and Essential Black Pro as its color and black technology. 4K color drive bring accurate color details, while essential black pro deliver deeper black level on the TV screen. We can also find 4K HDR Pro as the HDR technology of Samsung UN65MU6500. You can expect enhanced details with expanded contrast from your HDR contents using 4K HDR Pro. The refresh rate of Samsung UN65MU6500 is Motion Rate 120. Although It’s not the highest refresh rate that We can find in 65-Inch screen, but It still can deliver smooth fast motion images on your screen. Smart Hub is the smart TV platform of Samsung UN65MU6500. With Smart Hub, you can enjoy your favorite entertainment on your TV screen. We can also find 802.11ac wireless, quad-core processor and smart remote to complete the Smart Hub entertainment. 802.11ac delivers faster internet connection, quad-core processor bring fast eliminate any processing lag, while Smart remote works as one remote that can control your TV, Smart Hub and devices connect to your TV. Let’s take a look at the features and specs of Samsung UN65MU7500 and UN65MU6500 that We can find on the table below. We need to know the specs and features of those two 65-Inch curved 4K UHD TV before We can talk further about their comparison. How is the Comparison of Samsung UN65MU7500 and UN65MU6500? We can find the specs and features of Samsung UN65MU7500 and UN65MU6500 from the table above. From their specs and features, We can talk more about the comparison between those two curved 4K UHD TV. Let’s talk about that together. Samsung UN65MU7500 and UN65MU6500 comes with curved panel that combined with Auto Depth Enhanced as its depth enhancing technology. 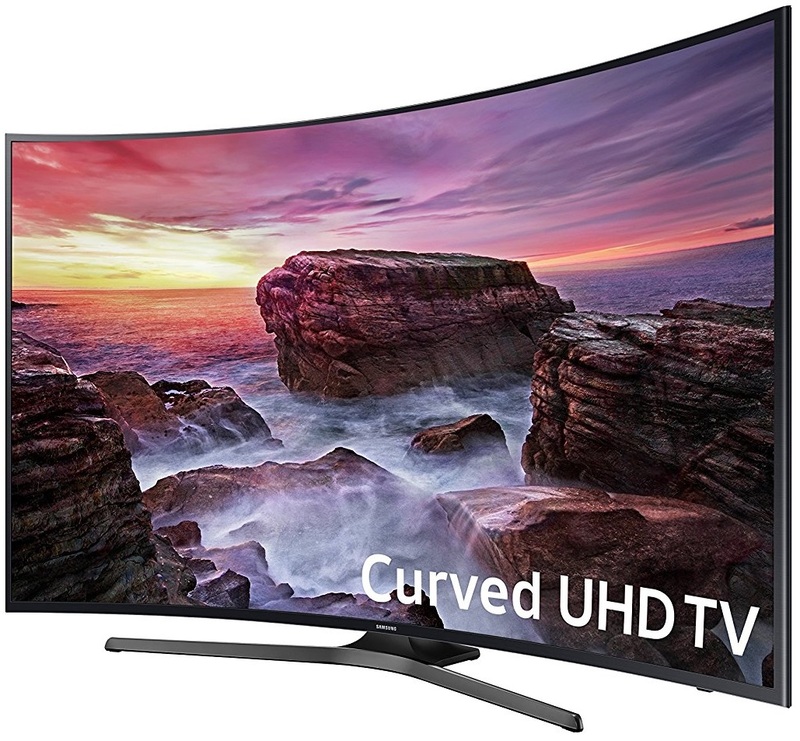 With curved panel, you can enjoy panoramic watching experience on both of Samsung UN65MU7500 and UN65MU6500. 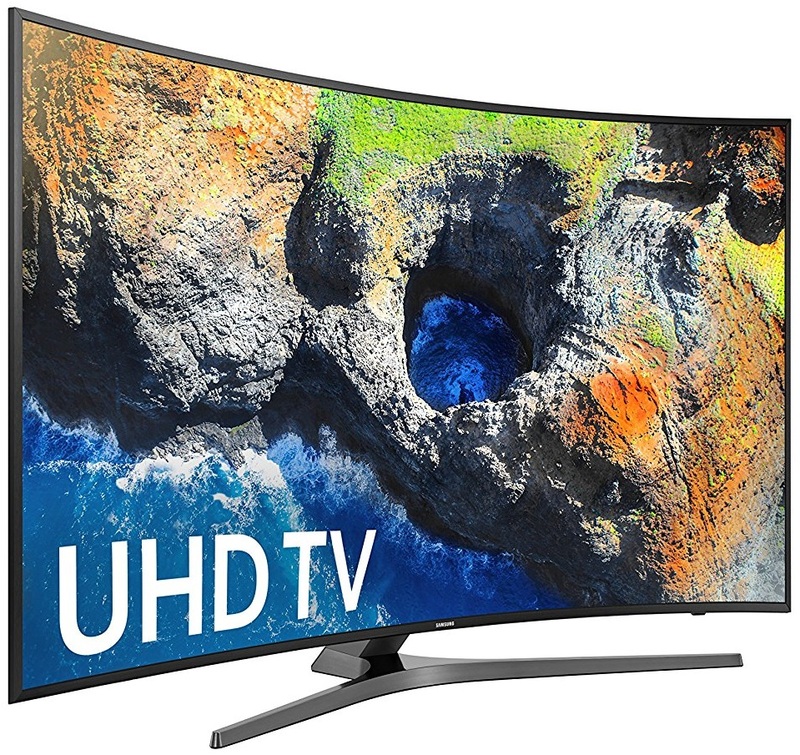 Both of Samsung UN65MU7500 and UN65MU6500 comes with UHD Dimming with UHD Upscaling. UHD Dimming is able to deliver brilliant picture from both original 4K content sources or non 4K contents with the UHD Upscaling technology. Basically both of Samsung UN65MU7500 and UN65MU6500 comes with 4K color drive as their color technology. But Samsung UN65MU7500 comes with Pro version, while Samsung UN65MU6500 only comes with standard version. With 4K Color Drive Pro, you can enjoy richer color spectrum in Samsung UN65MU7500 than what We can get with Samsung UN65MU6500. Both of those two TVs are also completed with Essential Black pro to bring deeper black level on its screen. We can find Motion Rate 120 is installed on both of Samsung UN65MU7500 and UN65MU6500. Motion Rate 120 is indeed basic refresh rate technology in Samsung’s 2017 TV lineup. But you can still enjoy smooth action movies and sports on the TV screen, although when We use the TV as gaming monitor, you can experience a little different result compared when We use the TV with Motion Rate 240 refresh rate. As part of Samsung’s 2017 TV lineup, the Smart TV Platform of Samsung UN65MU7500 and UN65MU6500 are 2017 version of Smart Hub that based on Tizen OS. Smart Hub is able to deliver premium entertainment such as movies, sports, TV shows and music. It’s completed with 802.11ac wireless to bring faster internet connection to your home and powered by quad-core processor for faster processing time. We can also find Smart Remote control that works as one remote to control the TV, Smart Hub and devices connected to the TV set. The speaker system of Samsung UN65MU7500 and UN65MU6500 are 2Ch 20W speaker System with Dolby Digital Plus. This 2Ch 20W speaker system is able to deliver good sound quality for most customers. Some customers may feel less satisfied with 2Ch 20W speaker system installed in Samsung UN65MU7500 and UN65MU6500. They don’t have to worry about that since It’s easy to connect soundbar or other external speaker system and enjoy more powerful sound output that They want. As the higher model, Samsung UN65MU7500 is surely offered at the higher price than Samsung UN65MU6500. But how much is their price difference? When they were firstly released, Samsung UN65MU7500 was around $200 higher than Samsung UN65MU6500. But the price difference actually varies from time to time, but for sure, price of Samsung UN65MU7500 is still higher than Samsung UN65MU6500. Which is More Suitable as Your Choice? 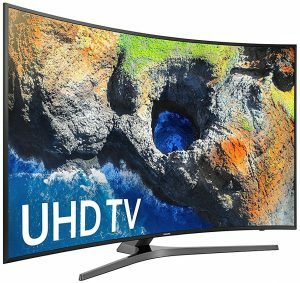 Related Post To Samsung UN65MU7500 vs UN65MU6500 : How is the Comparison of Samsung’s 55-Inch MU7500 and MU6500 Model? LG 65UJ7700 vs 65UH7700 : Why Should You Still Consider The Older LG 65UH7700? You may think that LG 65UJ7700 is the sucessor of LG 65UH7700. It’s actually not entirely true since in LG’s 2017 lineup LG 65UJ7700 is not a part of LG’s Suprt UHD TV series, while LG 65UH7700 is..
LG 65UF9500 vs 65UB9500 : Why You Should Consider the New 65UF9500? LG 65UF9500 is introduced as the top model of 65-Inch Smart 4K UHD TV from LG’s 2015 TV lineup. It can be said as replacement model of LG 65UB9500. LG 65UF9500 is released as part of LG..
Samsung UN65NU7100 vs UN65MU7000 : How Does The New Model Compared to The Old One? We can find Samsung UN65NU7100 (UN65NU7100FXZA) as the model that intended as the successor model of Samsung UN65MU7000 (UN65MU7000FXZA). As the successor model, We can find that there are a number of similarities between Samsung UN65NU7100 and..